In September of 2011, Qais Ahmad made the decision to put his own life in immediate danger; he had volunteered to become an interpreter for the United States military in his home country, Afghanistan. 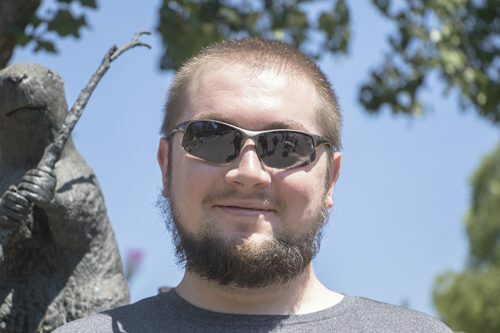 Ahmad, who is now a 23-year-old American River College student, became interested in doing something to help his country after seeing American soldiers working to help Afghanistan. 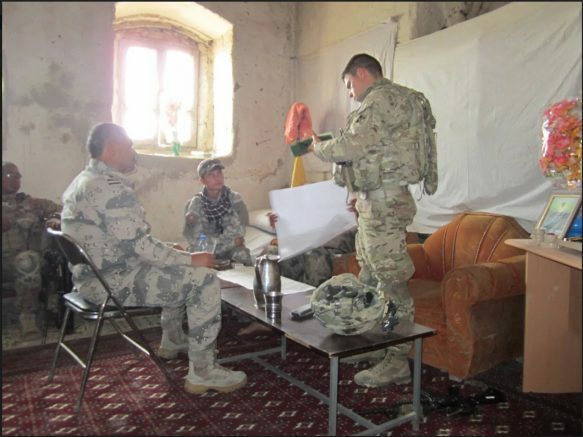 Working as an interpreter, Ahmad accompanied American soldiers as well as Afghan National Army soldiers on dangerous patrols and missions that sometimes lasted as long as 15 days at a time. As an Afghan, Ahmad faced not only the immediate danger of the work that he did, but also the threat of death were his identity to ever be revealed to the Taliban insurgents. Several close calls on his life included a rocket-propelled grenade airbursting directly above his unit and a firefight that led Ahmad to receive a shrapnel wound to his left forearm that wasn’t tended to until hours later. Ahmad was also responsible for biometrically scanning Afghans to help American forces identify friend from foe, catch insurgent suspects and hinder Taliban movement across the country. In many cases Ahmad had to biometrically scan deceased Taliban to put into the Department of Defense database to check against a list of suspects. Although Ahmad knew he was doing an important job, the constant encounters with dead bodies took its toll. “It was bad guys … I don’t like, feel bad for them … but as a human being when you look at stuff like that … it’s something kind of hard to look at,” Ahmad said. This biometric database will very likely contribute to helping US and Afghan forces in their recent fight against a relatively new terrorist threat to the Afghan people, ISIL-K, or the Islamic State of Iraq and the Levant-Khorasan. ISIL-K is the Afghan branch of ISIL and was added to the State Department’s list of Foreign Terrorist Organizations on Jan. 14. Ahmad gained access to the US when he was granted a Special Immigrant Visa (SIV) under an amended extension of the Afghan Allies Protection Act of 2009 that grants visas to Afghan interpreters and guides that worked for US forces for more than a year, and who face threats to their lives because of their work. Now at ARC, Ahmad studies international relations and sees himself pursuing a career with the US government, possibly the State Department or at an embassy. Air Force Reservist Rachel Davis from ARC’s Veterans Resource Center worked for a short time with Afghan interpreters on a 10-day trip to Afghanistan. Davis says she supports Afghan interpreters receiving SIVs for their service. Michael Robinson, also from the Veterans Resource Center and a veteran of both the US Army and Navy, said that he and his fellow soldiers grew really attached to their interpreters. Robinson’s unit lost an interpreter in an attack while serving in Tikrit, Iraq. Before immigrating to the US on Dec. 12, 2014, Ahmad spent his last year in Afghanistan working at Jalalabad Airport, also known as the Forward Operating Base Fenty. His family still lives in Jalalabad and he hopes to one day help them immigrate to the US. 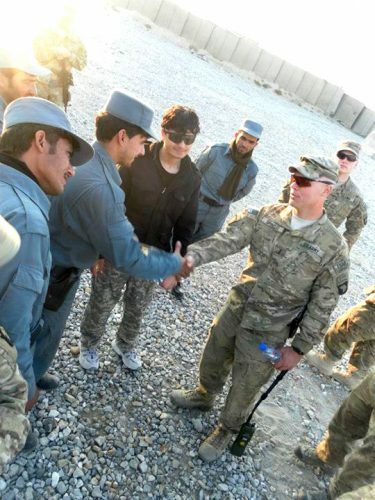 Be the first to comment on "Afghan interpreter for US army attends ARC"